All the members of Nagasaki are very encouraging. We were moved by warm welcome of all members. The performances of Youth Division & Future Division were overwhelming. The joy of overcoming problems through deep faith & connection with Sensei could be seen. 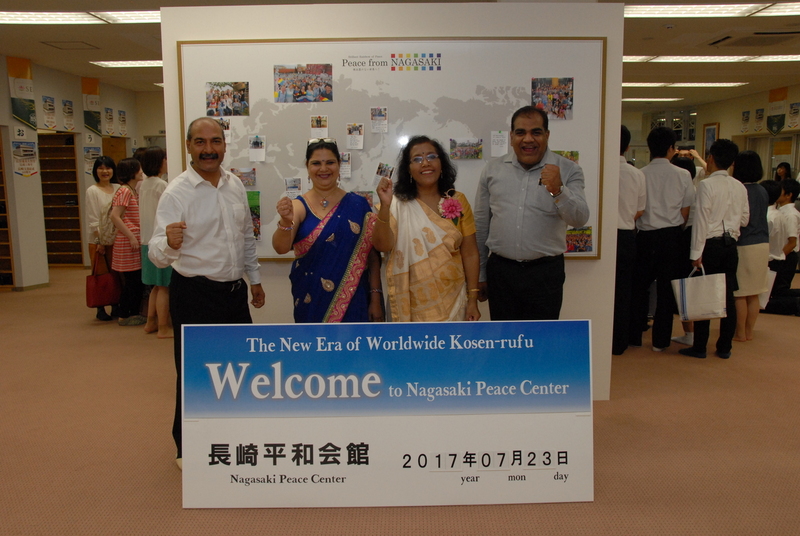 I was really moved by all happy faces of Nagasaki members. Thank you so much. 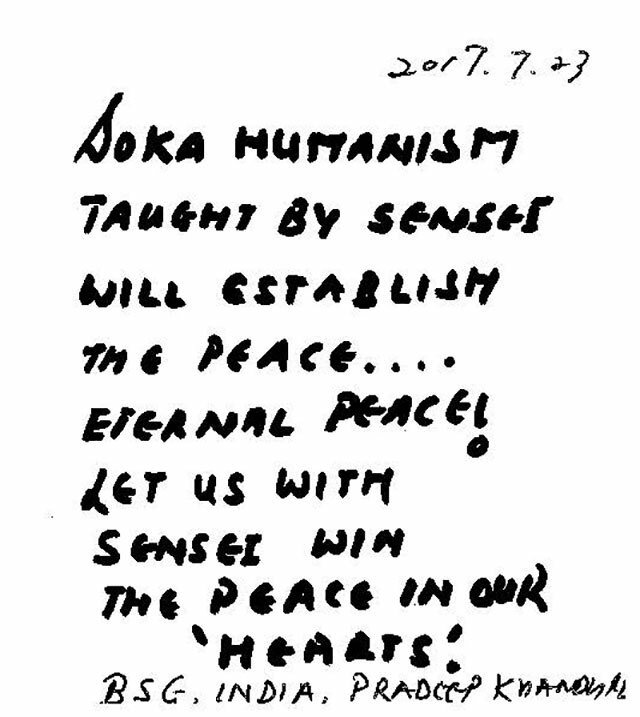 Soka Humanism taught by Sensei will establish the peace.. eternal peace. Let us with Sensei win the peace our ‘Hearts’. 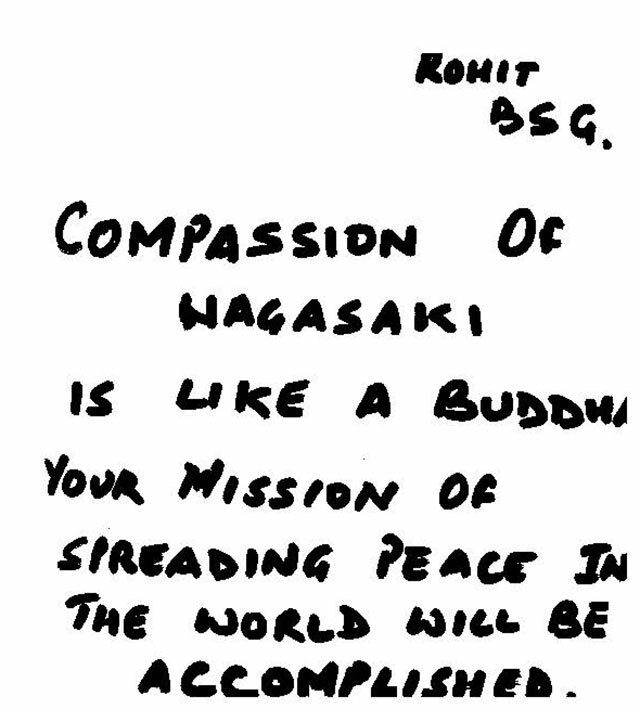 Compassion of Nagasaki is like a buddha. Your mission of spreading peace in the world will be accomplished. 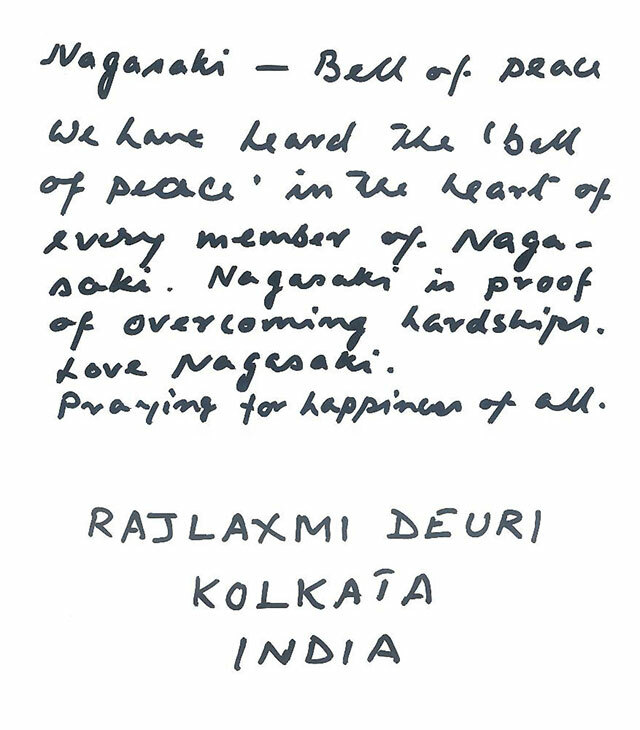 We have heard the ‘Bell of peace’ in the heart of every member of Nagasaki. Nagasaki in proof of overcoming hardships. Praying for happiness of all.